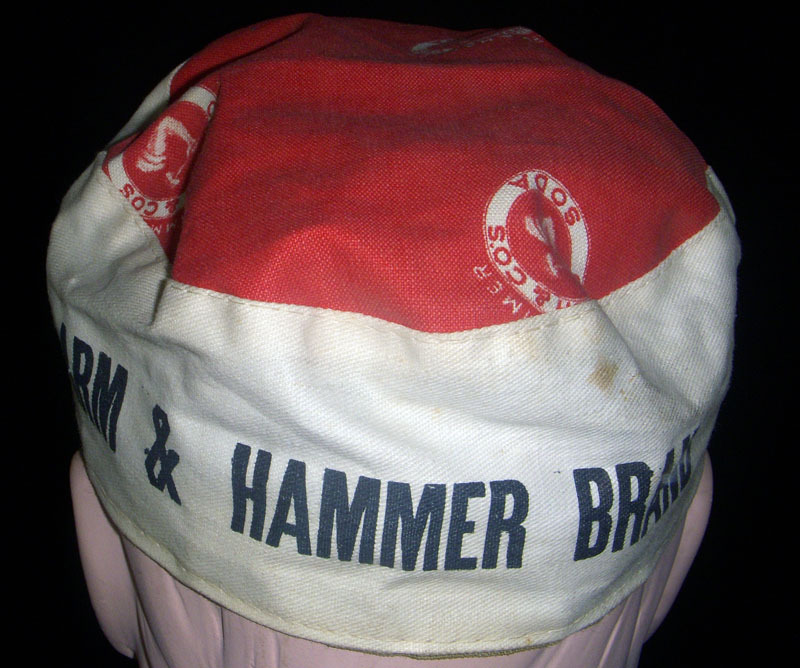 ARTIFACT: This is an early 20th century advertising cap for Church & Company�s Arm & Hammer Brand baking soda. 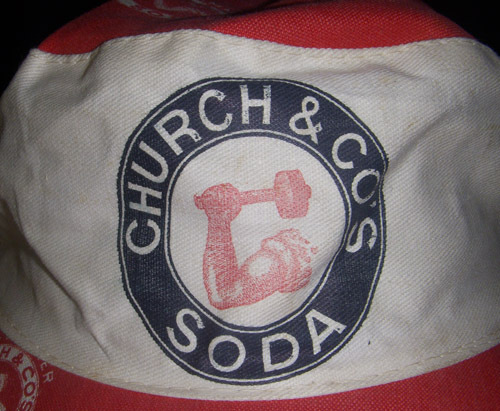 The baking soda first hit the market in 1867 and its logo is one of the oldest in America: the arm of the god Vulcan wielding a hammer. 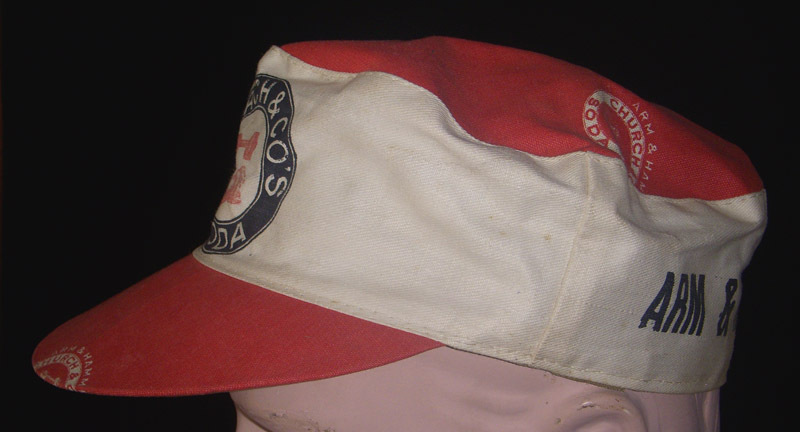 The cap is in red and white printed cotton and has a visor. 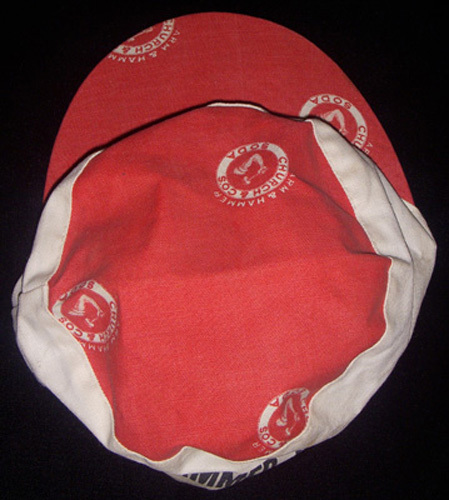 SIZE: No size tag: approximate size 7 (about 20� +/- circumference). CONSTRUCTION/MATERIALS: Printed cotton. 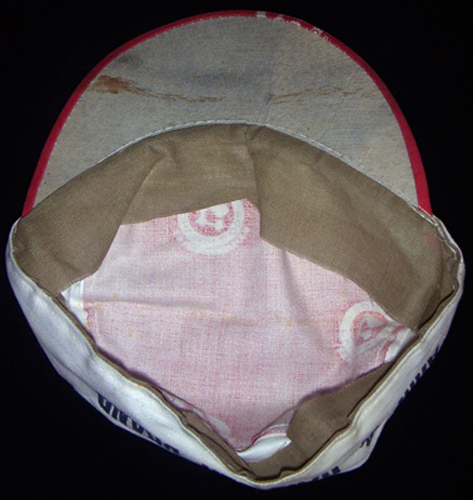 Lightweight burlap-like liner. 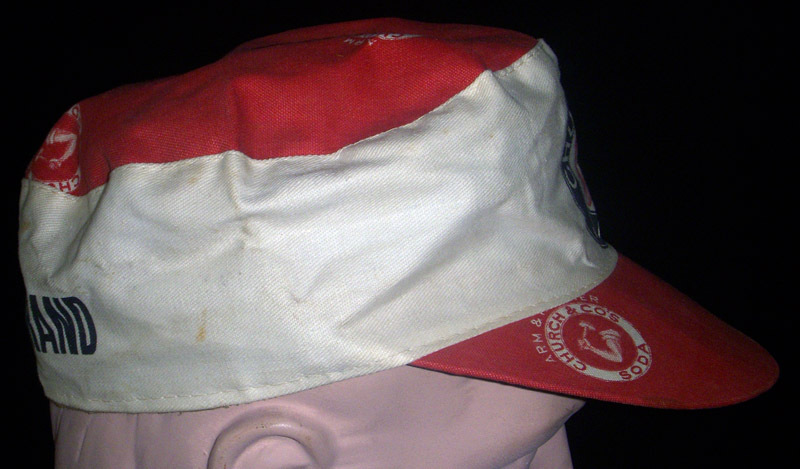 CONDITION: 8- (Very Fine-Excellent): The hat shows only some light wear with some minor discoloration under the visor.